As we embark on a new way of managing the Chesapeake District let me just say to you how honored we are as a Lead Team to represent and work with each of you. We are all convinced that God has great things in store. And honestly, that isn't just what I am supposed to say as acting District Superintendent. All of us, you and the Lead Team members, are busy people with much to do and no one needs just another meeting to attend or another group to work with. Our commitment to this District is grounded in our conviction that God intends to use all to reach the lost in our area and a conviction that the Holy Spirit is already moving in a special way here. Our only goal is to empower what the Spirit is already doing through your ministry. 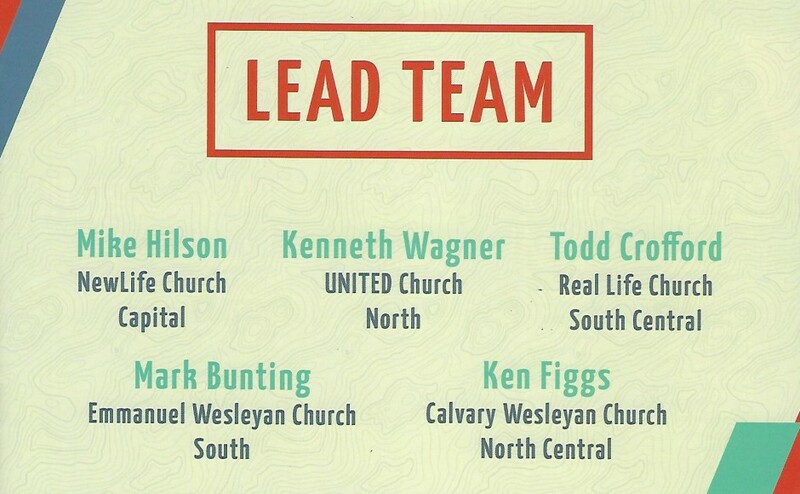 We are betting on you and your ability to lead your church to all that the Holy Spirit would allow and accomplish. With all of that in mind we do need to take care of some details. The leadership structure of the Chesapeake District has not really changed all that dramatically. The District Board of Administration is still the empowered body to carry out the wishes of the Chesapeake District Conference. The Lead Team will act in the role of District Superintendent during the duration of this three year pilot program. All of the leaders, committees, and ministries of the District remain unchanged. As a Lead Team we will now be engaging the work of assigning responsibilities for oversight of each of these groups and ministries. Our goal is that ministry would take place under your leadership with our help only when necessary. We are praying for you so please remain in prayer for us! As you are aware we are now divided up into ACE groups for Accountability, Coaching, and Encouragement. While your Lead Team Representative will facilitate that process, our real goal is that we all as a team begin to provide these three imperative ingredients for one another. We want to see you praying for each other, holding each other accountable, spending time together, and helping one another think strategically about reaching your community. It is important that it works this way. All churches are not the same and as a Chesapeake District we do not want to see a cookie cutter approach to ministry. Instead we want to empower whatever type of ministry God has called you to and the Holy Spirit is blessing. So, natural connections between pastors and congregations are not only encouraging to us, they are our goal. In light of this all of our ACE group meetings are considered a requirement for all pastors under active appointment to a local church. 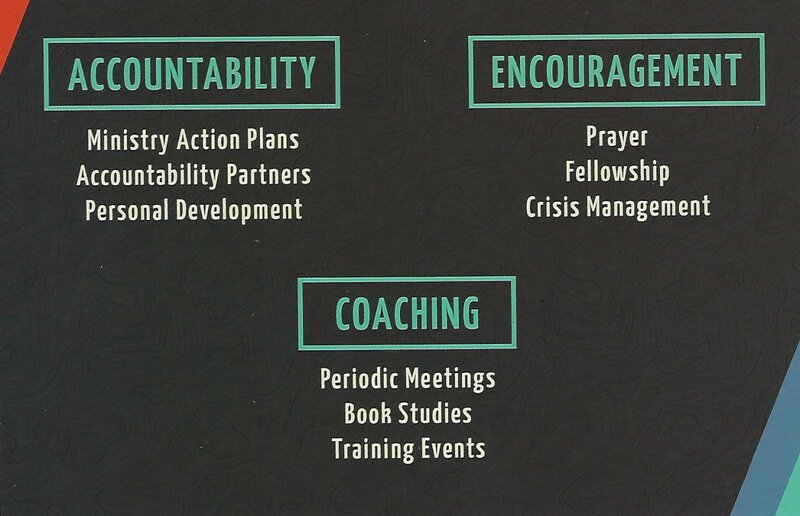 No matter what level of ministry you serve in, you are expected to attend these meetings. We will keep track of attendance and we will expect to see everyone there. If for some reason you cannot make one of these meetings please speak with your Lead Team Representative and let them know why. Grace will always be extended, but respect for the ACE group should be displayed by your effort to be there when it meets. Those who are retired, without appointment, or in denominational, missions, or other appointments are not required to attend. If for some reason you believe you would fit better in a different ACE group, then please contact me and let me know that. These groups were put together in the best way we knew how, but it is possible that there could be a better fit in some cases. Should you face an issue that you need direction for please begin by contacting your Lead Team Representative. That leader will help you think through and process through the issue at hand. Keep in mind that the role of any leader is to speak truth into a situation of conflict and that good leadership requires that your failures be brought forth as well as the failures of others. Conflict is never one sided. So while we will always work to have your back and stand with you as one of the God called, Spirit led leaders that we have been blessed with, we will also work diligently to speak truth into every situation so that healing can be real and complete. Should your Lead Team Representative deem it necessary to engage the insight and thoughts of the rest of the Lead Team, then others of us may enter into the situation to bring resolution. While we will diligently attempt to always inform the entire Lead Team of divisive issues within our churches, we will only engage other leadership within a congregation when absolutely necessary so as not to create confusion within our leadership structure. Would you please take another look at your Conference notebook and make sure we have your current and correct contact information? Finally, would you please help us learn? I would like to ask that each of you send a picture of yourself, and perhaps your spouse and family, with names of each family member, to amanda@newlife.live. I would like to use this as a tool to help me learn names and as a tool for prayer. I will have these put together in my office and given to each Lead Team member so that we can all be praying for each of you by name and by face. Thank you again for your confidence in us. Please pray for us as we work to follow the Holy Spirit as we lead.